There is one opening currently for the fall session 2018. As with all places you’d like to learn more about and possibly be part of, there is no better place to start than a visit. If, having experienced first-hand the unique dynamics between the people here and the special opportunities afforded to those in attendance, you’d like to take the next step towards enrollment, request an application and then contact: the High School SPED Administrator, your area office of the Department of Developmental Services, or the Massachusetts Commission for the Blind and request placement in our Program. A referral from your public school or state agency is required for acceptance which would begin the fairly short process of enrollment. All pertinent records: educational, medical, psychological, etc. would need to be sent to the School for review before acceptance in the program. 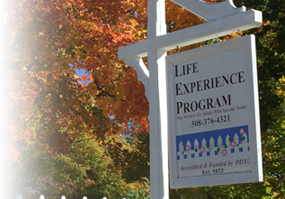 Members of The Life Experience Program have life challenges that are the result of, or complicated by, neurological impairments, epilepsy, developmental disabilities, visual impairment, autism spectrum as well as secondary emotional difficulties. 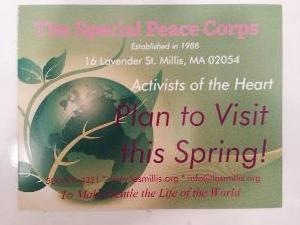 The program is open to young adults who could benefit from and contribute to the extended-family learning/service process. If you have any questions, please contact Lewis Randa, Director at 508-259-8508 or at the Administration Office at 508-376-4321. You can email inquiries to lewismranda@gmail.com.